Feel the heat of the summer! Check out the new summer event theme in Hakain's Crossing, Victory Plaza. Enjoy the heat while chilling on the beach. Another new month of Daily login rewards! Enjoy all the treat we have given away. - Can shrug off the environmental status effects of all regions. 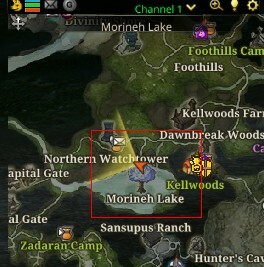 - Decreased PvP Defense by 8.00% for 10 sec. - Increased Move Speed by 20% and Familiar EXP by 25%. - Draws the attention of the enemy with a loud roar. Stay login for 7 days to get this Special login rewards! 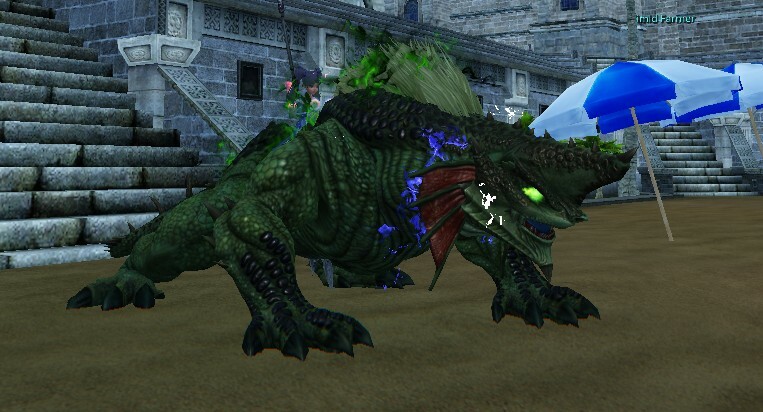 We also have a special mount for you to ride on. - Provides resistance against all regional climate effects. Stay login during this hours 19:00 UTC to 23:00 UTC to receive a Watermelon Slice x100 as a reward from August 1 to August 14. Once login, you will be able to receive the rewards automatically after a minute. 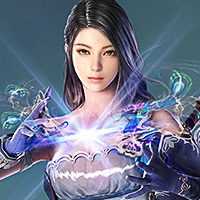 Summer Event will not be fun without our new NPC Haley who will be our guide to secure more rewards along the way. NPC Haley will give you quests to have more rewards along the way. Also, NPC Haley is a Merchant that will give you rewards if you have the right exchange item. 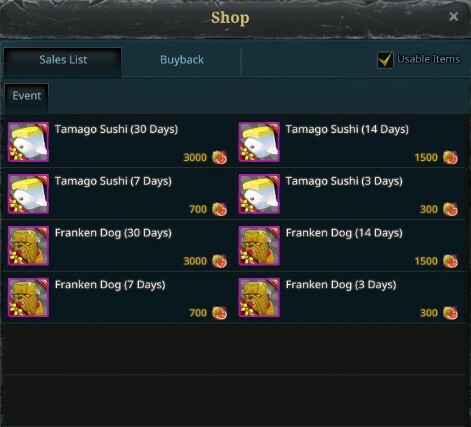 - You will need to have the Summer Hakain's Dinner to complete the quest and get the reward Frozen Carrot Dynamite. - This item is used to dealt damage to Watermelon Hat Rabbini. - It has a 2 sec cooldown. - You can't use any skill to dealt damage to the Watermelon Hat Rabbini. 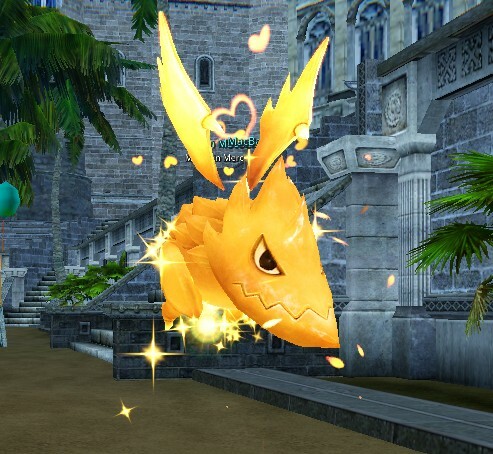 - Event monster that you can find outside of the outer wall of Hakain's Crossing. - Event monster mobs are lurking around. - Event monster cannot be killed by a normal attack or using of skill. 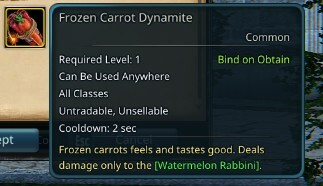 Only Frozen Carrot Dynamite can kill the said monster. 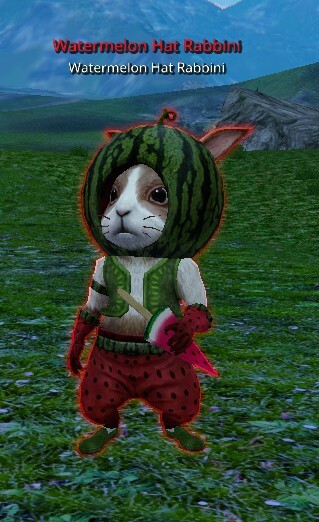 - Watermelon Rabbini drops a watermelon slice that you can use to exchange for more rewards to NPC Haley. The start and end times for the event will be corrected soon Riders! Thank you for your support and have a nice day! Nice, now we have somewhere we can discuss the event! 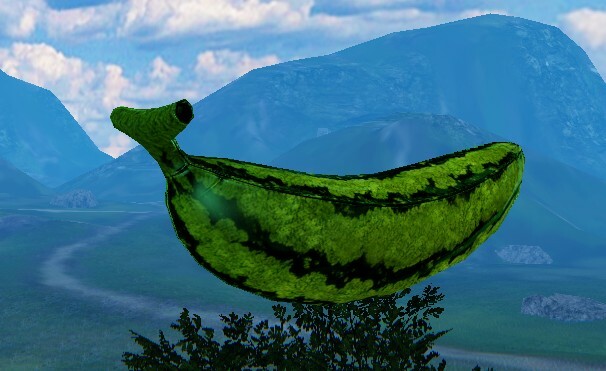 So, first up, please give us a way to collect Mount: Watermelon Banana Boat on each of our characters! 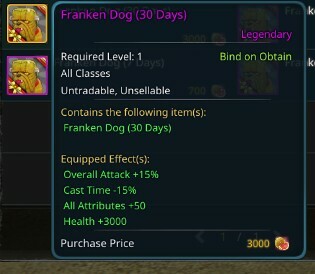 That is just such a unique and fun looking mount it's going to be a little cruel having to try and decide which character to claim it on! Second, it's a Summer Event, yet there's no permanent swimwear costumes to be purchased! 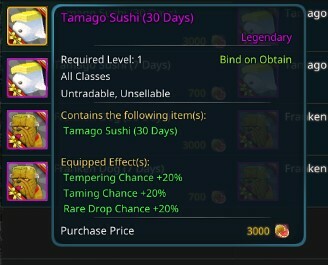 Nexon, once again you're missing a real opportunity here. I have to wonder about the people at Nexon making the marketing decisions, they seem to be constantly missing great opportunities for increasing sales! I guess it's probably too late for this year but maybe next year? You asked I deliver! http://icarus.nexon.net/en/news/article/34288 At least was in my range (haha). Well I'm surprised because I really wasn't expecting that to happen at all, let alone so quickly! I reckon you deserve a big thanks for that one! To the GM's!!! And happy to bring some sort of satisfaction to the community! Thank you for your support and happy hunting! Figured it might be a good idea to give everyone a heads-up that the Hot Time Event appears to be ending an hour earlier than the announced "Stay login during this hours 19:00 UTC to 23:00 UTC to receive a Watermelon Slice x100 as a reward from August 1 to August 14" as I have now logged in on two seperate evenings shortly after 22:00 UTC to receive no reward! Do you guys still experience the same issue? First time it happened to one of my characters was on August 2nd, 2018. I have 7 characters so I was in the process of logging each character in-game. I did the exact same routine with each character: I logged in-game, claimed the Watermelon Slice x100 from Ellora's Storage and then completed the Daily Crafting Achievement followed by completing 4 of the available quests from NPC Haley (Summer Banquet; Hakain's Crossing Repairs; Ingredients for the Summer Banquet and Watermelon Delivery). I did that with 6 characters with no problems, but when I logged my 7th character in-game Ellora's Storage was empty, NO Watermelon Slice x100 so I checked the in-game and it was showing 22:22 UTC. It then happened again on August 4th, 2018. Knowing that there appeared to be a problem with the daily event ending an hour earlier than announced I was logging each of my characters in-game to claim the Watermelon Slice x100 from Ellora's Storage on each character. Unfortunately just before I logged out on my 5th character I was distracted with real life events for a short time, so by the time I returned to log my 6th character in-game it was 22:14 UTC and Ellora's Storage was empty, NO Watermelon Slice x100! Obviously when I logged my 7th character in-game after that the Ellora's Storage was empty, NO Watermelon Slice x100. I did create a thread in the Bug Reporting forum: [BUG] Hot Time Event and @Cream suggested that "those Riders that did not receive their x100 slices to please submit a ticket to support" so I also submitted a support ticket. So as to avoid this happening again I have been trying to get all 7 of my characters logged in-game to claim the the Watermelon Slice x100 from Ellora's Storage before 22:00 UTC, even though the announced time-frame is supposed to be 19:00 UTC to 23:00 UTC. It occured to me last night that maybe the event is actually starting an hour earlier as well as ending an hour earlier but I haven't had chance to test that out yet. 1 in koroshimo and so on? Will be great if you can clarify this one. I seem to recall seeing previous posts/comments that sometimes staying logged in-game for long periods of time can actually cause some issues, especially with rewards that are distributed via Ellora's Storage. I think that's why Nexon tells us to fully log out of the game when they run special log-in events. I will follow up with the GM's as ASAP to have them check or update me with any information available if possible, Riders! As for the watermelon slices, we have repeatedly tested it in the game and it gives us the same result. NO ISSUE. still, we are not giving up searching for the cause of the players that are not getting the watermelon slice when they logged in. Also, the login event for watermelon slice will end till August 14. Web post will be updated soon. At what times are you testing? For each of my three characters who have missed out on the Watermelon Slicex100 I logged each of them in-game after 22:00 UTC but BEFORE 23:00 UTC, despite the announced "Stay login during this hours 19:00 UTC to 23:00 UTC to receive a Watermelon Slice x100 as a reward from August 1 to August 14". So I now have one character who has missed out on the reward once and another character who has now missed out on the reward twice! 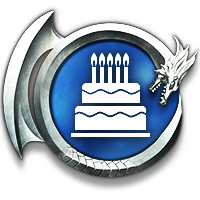 Each of my other characters who logged in-game before 22:00 UTC each received the reward. Is there any other information that we could provide that might be helpfull?